Its the time of smartphones — different makers, different OS, different technology — whichever way it is, they changed the way you used your phone, in the past couple of years or so. From a Nokia age, where everybody was content with the alphanumeric keypad and feature-rich multimedia phones which fit every size of the pockets, we have moved on to the world of smartphones and a more mobile life. Thanks to Apple’s iOS, Google’s Android, Nokia’s Symbian OS, Microsoft’s Windows Phone OS, we have a wider range and qualities of smartphones to choose from. I too made the switch last year, to the ever-growing army of Android. While its still too far for normal users to afford the iPhones, Android made the life easier, having tied-up with multiple makers and wider price-ranges. And my choice was the Samsung Galaxy Pop/Mini S5570. A warm welcome to the new world was what I received from my new companion. 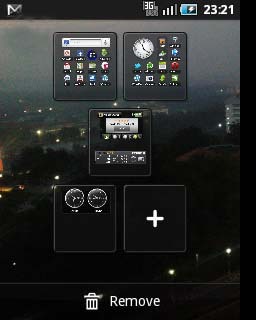 Running on Android Froyo 2.2 (upgradable to Gingerbread 2.3), we got lot of options at hand to use it to the fullest. And while using the phone, I came across many small, yet useful shortcuts which will surely help you to do things faster on your phone. So, lets see what we can do with our Samsung Galaxy series Android phones. Here we go with the tricks ! Don’t forget to try it out !! 1) Lets start with the home screen itself. Simply pinch the screen and you will get a quick preview of all the available home-screens. Click on the + sign to add the number of home-screens up to a total of 7 screens. Now tap on any home-screen from the list to quickly jump to that screen. 2) If you want to delete a home-screen, again go the preview mode, press and hold that screen for a couple of seconds and then drag the screen down to the delete bin that appears at the bottom of the screen. 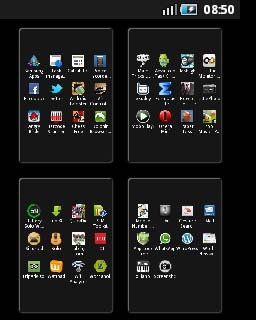 To remove an app/widget from a home screen, follow the same steps, here you need to press and hold the app/widget icon. 3)The preview mode is available in the menu list as well. Simply pinch at the app list and you will get a snapshot of all the menu pages. You can choose and jump to the page you want. Also, there is another way to jump from one page to another in the menu list. If you noticed well, there are small bullets at the top showing the page numbers. At any menu page, simply tap the page number you want to jump to, and voila! you are there. 3) You can add an app shortcut to the home screen in multiple ways. Either press and hold somewhere in the empty region of the home screen and you will get an menu to choose and add app shortcuts, widgets, folders and wallpapers. Or, go to the menu list to see the apps list, find the app you want to have as a shortcut, and press-hold it. A shortcut of the app will appear in the currently active home-screen. 4) To make a call or send a message quickly, open the contacts list, find the contact you want to call or text. Now, simply swipe to the right across the contact name to make a call (If third-party phone call applications are installed, they will be listed to choose from), and swipe to the left to open a message window. The default contact number will be used. This works even at the default message app. Swipe across the contact to make a call or send a message. 5) If you want to quickly send an e-mail to a contact, you have noticed the image box for each contact, right? Simply click on the image box of the contact, and you will get the available options to call, message, go to the contact details, connect through Skype/Whatsapp, and also to open the e-mail app. 6) You must be knowing the notification bar that lies hidden at the top of the screen all the time. Simply drag it down to see the different notifications from different apps, and also to switch on/off Wi-Fi, Bluetooth, GPS, Silent mode, Auto-rotation mode. To switch off the phone, or to quickly switch to the flight mode, or to toggle silent mode, press and hold the screen-lock button at the right side of the phone. 7) Searching for a contact from the contact list can be very tedious, even harder if its a long list. Well, there is a way out. Ever noticed the semi-hidden tiny alphabet list at the right of the screen? Simply tap a letter from the list and you will jump straight to the contacts starting with that letter. So that makes it easier to jump from A to T in one small touch. Try it! One more method — Open the keypad used to dial numbers. Its packed with Smart Dialing feature. Means, start typing from anywhere of a phone number which is saved in your contacts, not necessarily from the start. The dialer will automatically understand and will suggest you the contact you wanted to reach. Even if you remember only the contact name and not the number, Smart Dialer comes to the rescue. Simply start typing the name as if on an alphanumeric keypad, and it will recognize the contact name you are searching for and will display the numbers saved for that contact. 8) Tethering and Mobile AP – The jackpot feature! Don’t you like to use your mobile internet data plan in your PC/laptop? Tethering lets you to achieve it with the help of a USB cable. Connect your phone to the PC with a USB cable and check the option ‘USB Tethering’ from settings–Wireless and network settings–Tethering and portable hotspot. Also enable the mobile internet connection from Mobile Networks–Use Packet data. The USB Tethering will be enabled now. Open a browser and check the internet connectivity. It should be working. 9) USB Debugging – To enable this option, goto Settings–Applications–Development and check the option USB Debugging. This is required to connect your phone to a PC or another device with the USB cable. 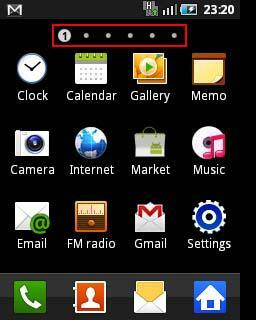 10) Screen Lock – Choose from ‘None’, ‘Pattern’, ‘PIN number’, ‘Password’ to set a screen lock. Set this from Settings-Location and security-Set screen lock. 11) Swype – Many users have found this feature irritating and not useful, but there are many others who have benefited from this typing feature. Personally, I felt this the most useful feature for a virtual keyboard. I still remember those days where I used to type endlessly and madly fast even with one hand on the physical alphanumeric keypad of my Nokia phone. That was the one of the few things I miss while switching to a full touch screen phone. Swype made life fairly better. Simply swype through the alphabets of the word you want to type, and if you are not exact on it, you will get the word displayed on screen. Swype can understand words in English, and so typing English words straight away is easy. For eg., run your finger through the letters of the word ‘Mobile’ and it should be displayed as such. You don’t need to be exact on the tracking. Even if you are close to it, you will suggestions of similar words to choose from.The another big feature of Swype is that you can teach new words to Swype, means you can add words that you use in your language and make it a part of Swype’s dictionary. Its simple to do it. Plainly type each letter one-by-one of the ‘unknown’ word and press space. Now from now on, simply drag through the letters of the same word and Swype will recognize your new word and will display it. There will definitely be more hidden features in your phone. Find them out and ease the pressure of using your phone. If you find something really useful, don’t forget to share it with me! This entry was posted in PC & Tech Tips and tagged Samsung galaxy tips android hidden secrets, Swype screen lock USB Tethering Debugging by vimalsuresh. Bookmark the permalink. I’m a little late to your review and seeing how much time has passed, it seems a little silly to comment now, but I wanted to say I love it when meeting other fellow Swype enthusiasts. I can’t type any other way now. Even my mother, who used to resemble a giraffe playing a piano when typing loves swyping. Time does fly! But thanks a lot for finding this post from the archives! Many of the features I mentioned in this post were fairly novel at the time, and these have become a norm and have evolved over the last couple of years. Swype was my favorite typing assistant as it doubled or even tripled my typing speed on the virtual keyboard. Later, I have switched to SwiftKey Keyboard which has an integrated swype feature and has a really good (and smart) word prediction software. I haven’t looked back at the stock keyboard since I started using SwiftKey.